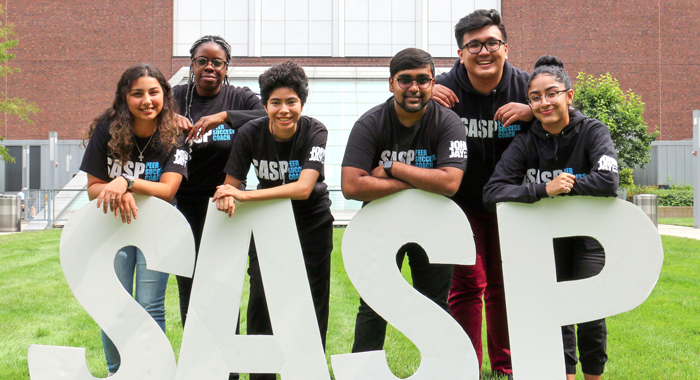 The SASP Peer Success Coaches are successful and accomplished upper-class students dedicated to supporting students along their Academic Journey. Those in First Year Seminars, Transfer Seminars, and specialty cohorts – APPLE Corps, Adelante, Dream.US, Early Start – receive their own dedicated (and super friendly!) SASP Peer Success Coach to guide them through their first year at John Jay and beyond. As one of their first connections at John Jay, Peer Success Coaches familiarize students with the college, make referrals to campus resources, offer ongoing tips for academic success, and connect them to friends and mentors. They also offer individual and group success coaching sessions to help students 1) identify academic and professional goals, 2) craft a realistic plan to achieve these goals, and 3) find solutions to all kinds of obstacles. In academic year 2016-2017, Peer Success Coaches provided 30-45 minute success coaching sessions to over 1200 students! Students who participated in at least one coaching session earned higher GPAs and more credits, and were more likely to stay in college, compared to those who did not participate. Interested in joining our team? Apply for the fall 2019 semester on our application page.